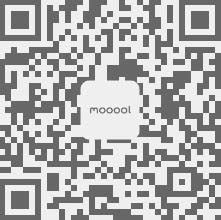 Thanks Serie Architects for authorizing the publication of the project on mooool, Text description provided by Serie Architects. 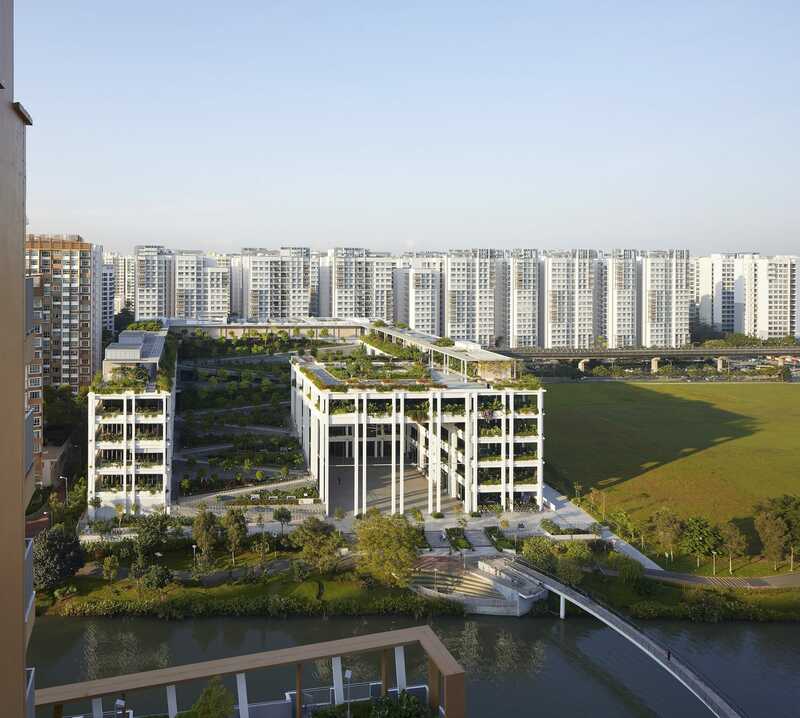 Serie Architects：Serie Architects working in collaboration with Multiply Architects has completed Oasis Terraces, the new Punggol Neighbourhood Centre and Polyclinic in Singapore. 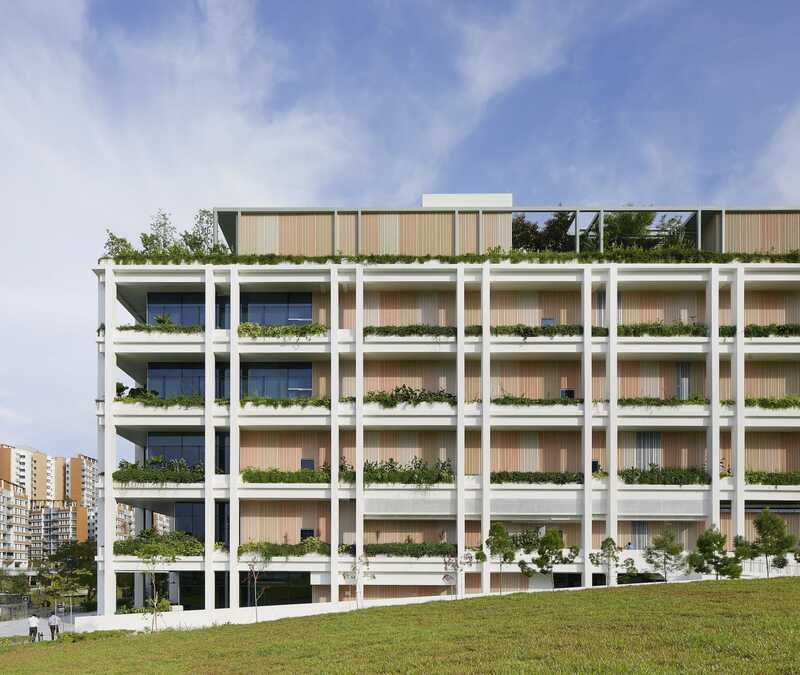 Oasis Terraces is a new generation of community centres developed by Singapore’s Housing and Development Board to serve its public housing neighbourhoods. It comprises communal facilities, shopping, amenities and a government polyclinic. 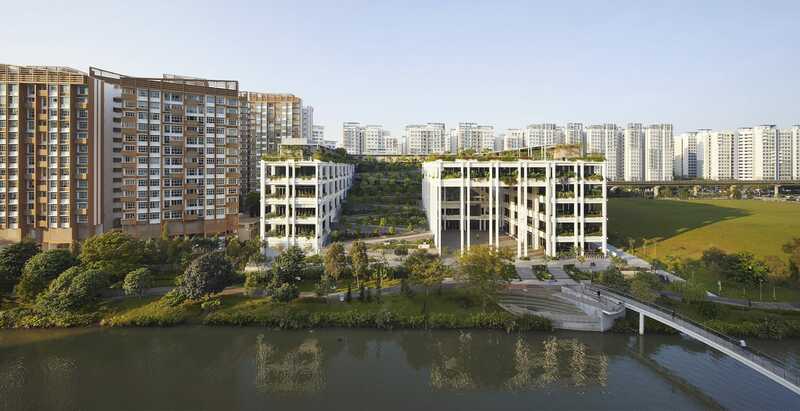 Serie Architects’ design utilises a series of lush garden terraces that slope towards the waterway as one of the key elements to generate communal activities. 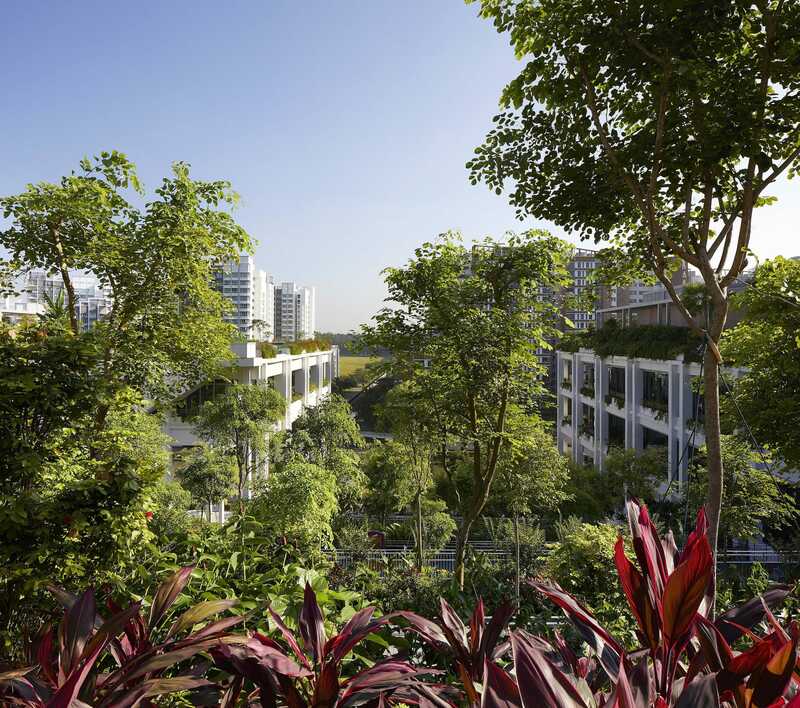 These lush gardens act as communal spaces, children’s playgrounds and a natural amphitheatre. 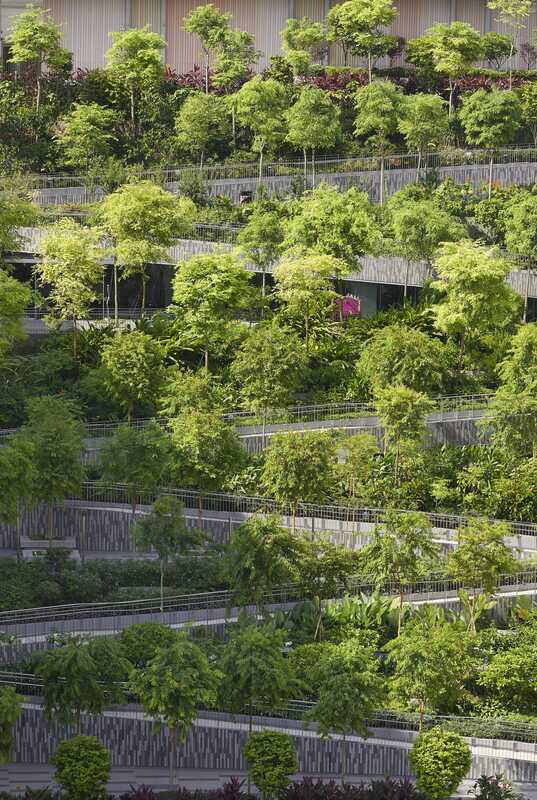 The roof is also heavily landscaped and features planting beds for urban farming. The gardens play more than just an aesthetic role in the community; they are a collective horticultural project. By bringing residents together to plant, maintain and enjoy them, the gardens help nourish community bonds. 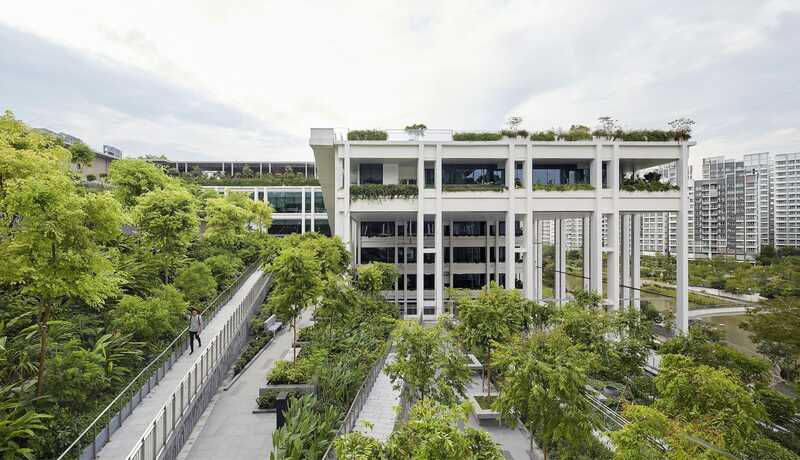 Overlooking the communal gardens on platforms are rooms and outdoor areas for communal dining, restaurants, education centres, and polyclinic services. 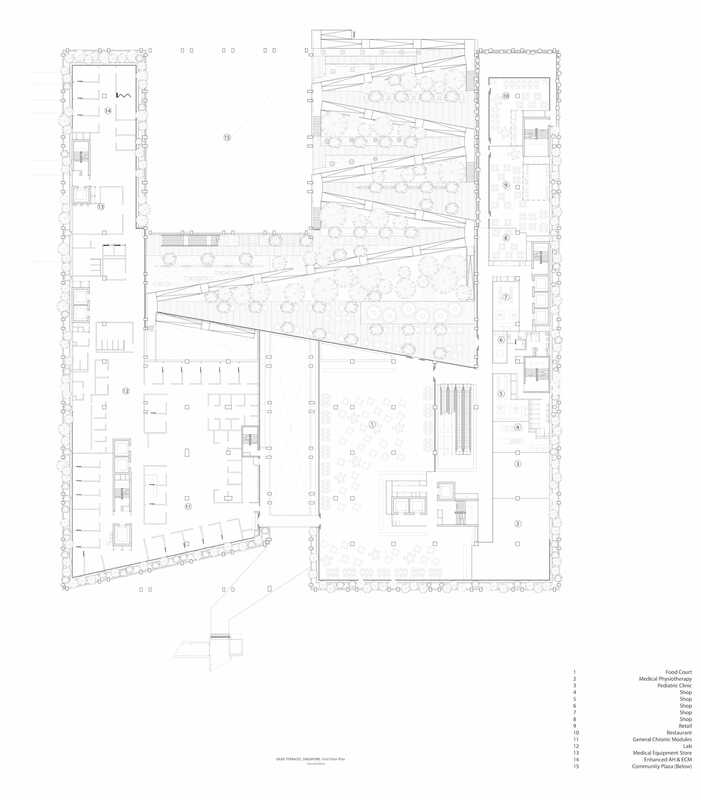 These spaces are directly connected to the terraced garden, allowing dining activities to spill out into these areas. 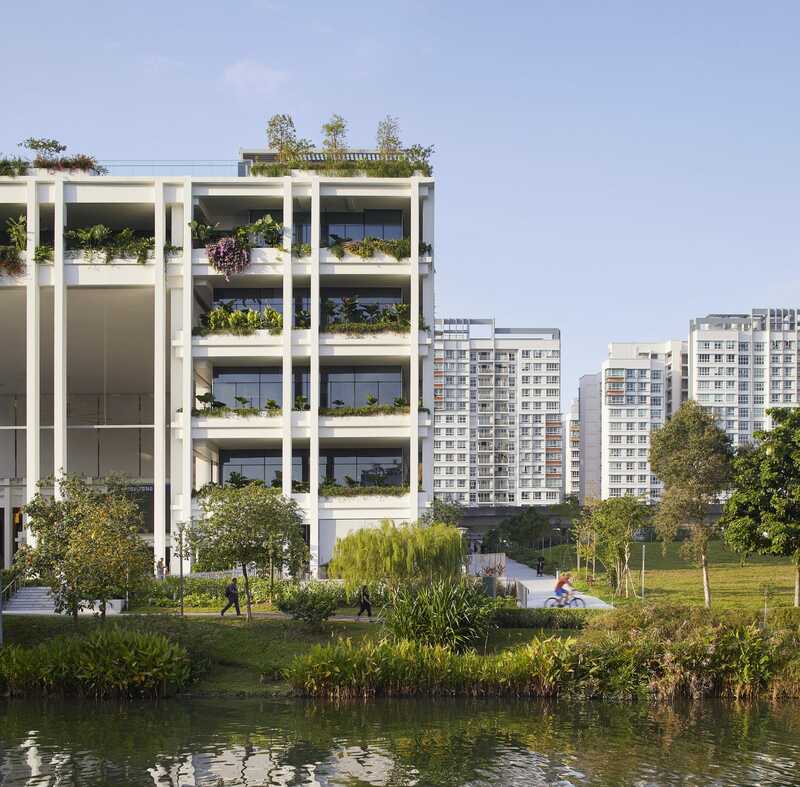 Likewise, the waiting areas of the polyclinic enjoy views of the garden terraces and waterways. 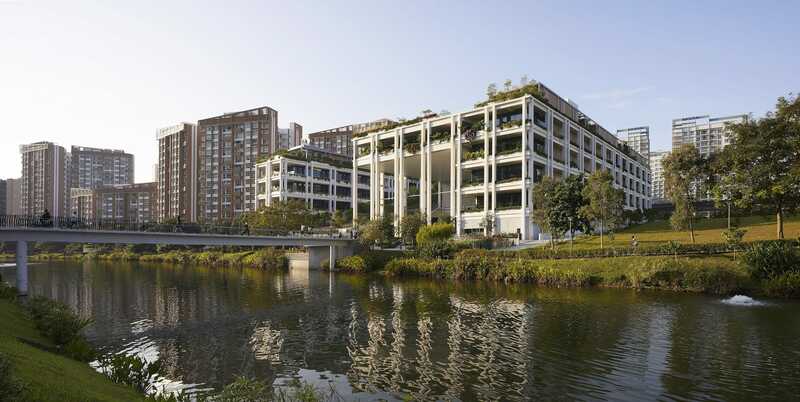 A large sheltered plaza fronting the waterways creates the vibrant heart for the community. This plaza will be used for a wide range of communal activities and events and sits at the crossing point of the east-west and north-south thoroughfares of the site. 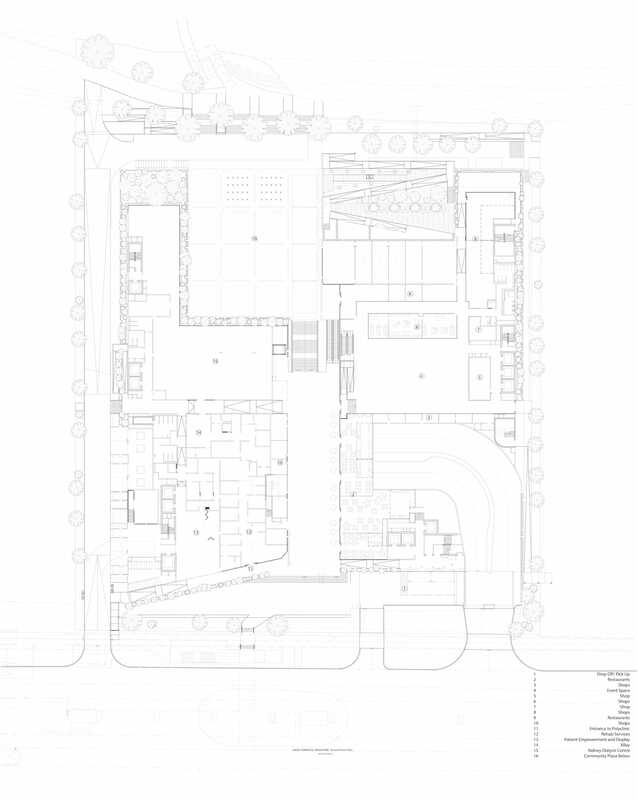 All circulation through the site and from the adjacent Oasis LRT station culminates at the plaza. 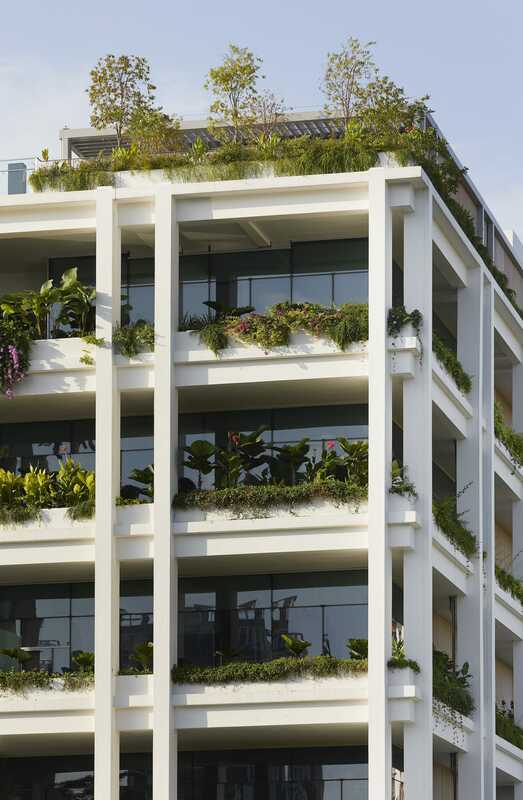 Every visible elevation of the building is covered with lush plating. Together with the veranda spaces that wrap around the restaurants and polyclinic, the plants act as an environmental filter between the exterior and interior spaces. 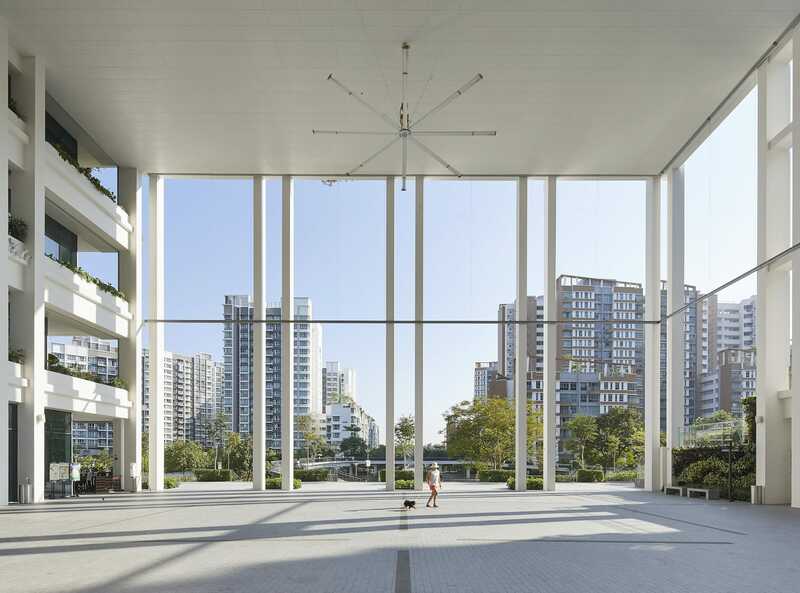 The architecture is also characterised by a sense of lightness and openness allowing daylight and breezes to permeate the building, promoting the use of natural ventilation. 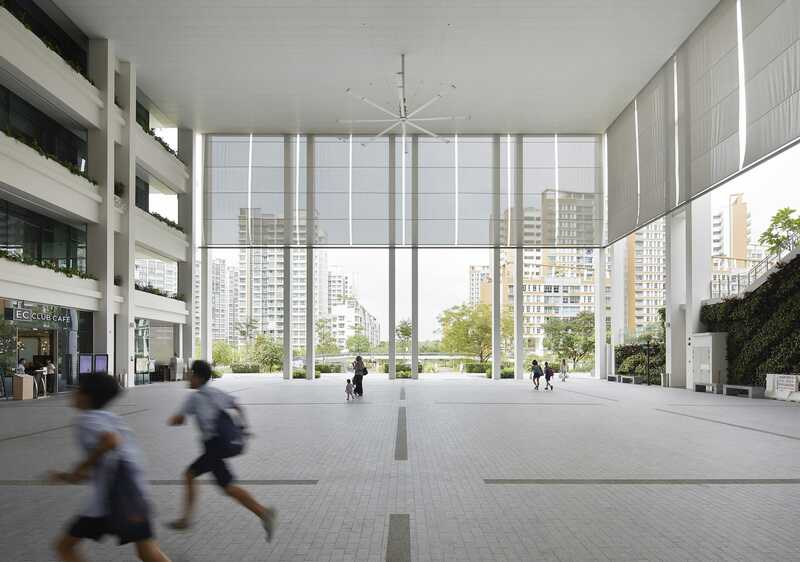 Christopher Lee, Principal of Serie Architects: ‘Our design is informed by the open frames commonly found in the facades and corridors of HDB’s housing blocks of the 70s and 80s. 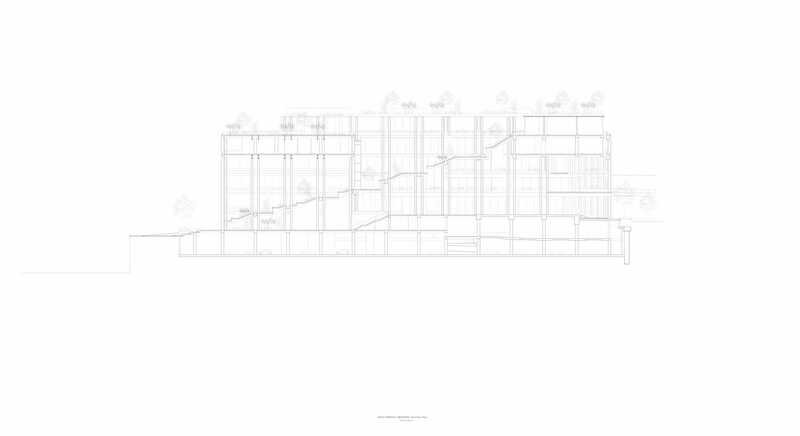 We’ve transformed this precedent into a light and open frame that captures and accommodates diverse programmes for the community in a landscape setting — it is an architectural framework for communal life to unfold’. 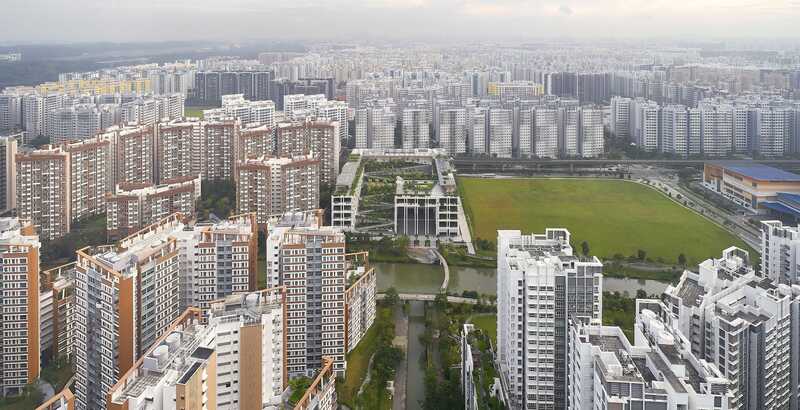 工料测量：Northcroft Lim Consultants Pte. Ltd.
景观设计：WNE Integrated Design Pte Ltd.
视听：Alpha Acoustics Engineering Pte. Ltd.
总承包商：Rich Construction Company Pte. Ltd.
打桩承办商：Keat Seng Piling Pte. Ltd.
Civil and Structural Engineering: KTP Consultants Pte. Ltd. Mechanical and Electrical Engineering: Bescon Consulting Engineers Pte. 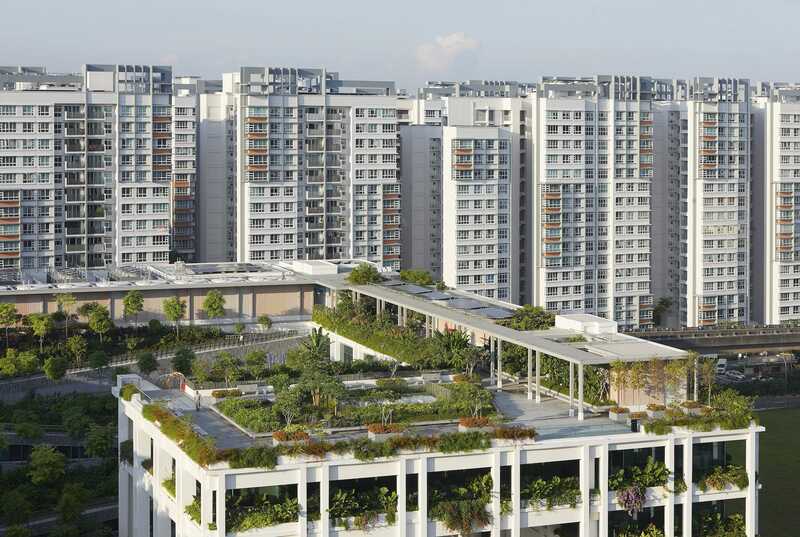 Quantity Surveying: Northcroft Lim Consultants Pte. Ltd.
Fire Engineering: C2D Solutions Pte. Ltd.
Façade: Aurecon Singapore Pte. Ltd.
Landscape: WNE Integrated Design Pte. Ltd.
Greenmark: Afogreen Build Pte. Ltd.
Acoustic and Audio Visual: Alpha Acoustics Engineering Pte. Ltd. Lighting: Light Cibles Pte. Ltd. Interior Design: Multiply Interiors Pte. Ltd.
Medical Planning: DP Healthcare Pte. Ltd.
Project Management: SIPM Consultants Pte. Ltd.
Main Contractor: Rich Construction Company Pte. Ltd.
Piling Contractor: Keat Seng Piling Pte. Ltd.